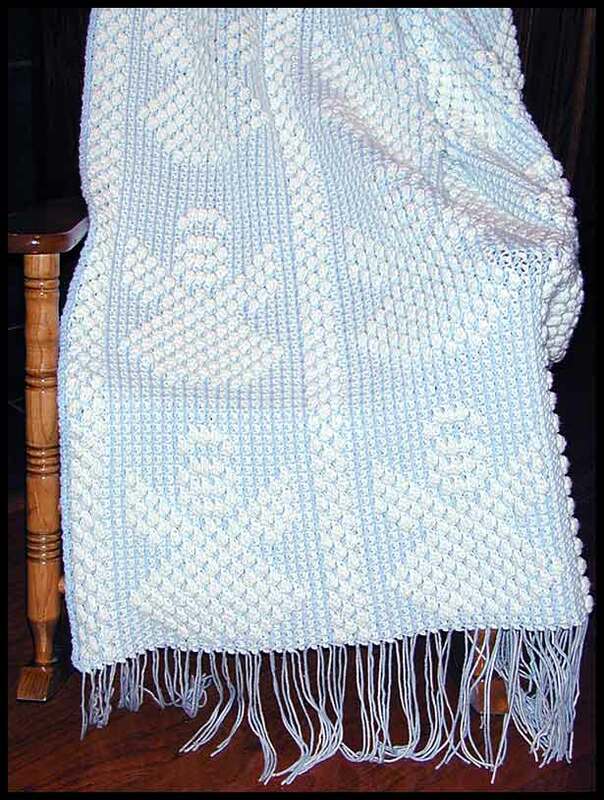 Material: Worsted weight yarn in pale blue and white. This afghan is quite large for a child. It is nice and heavy, weighing over 4 pounds, and because of its size, it will grow with a child for many years.